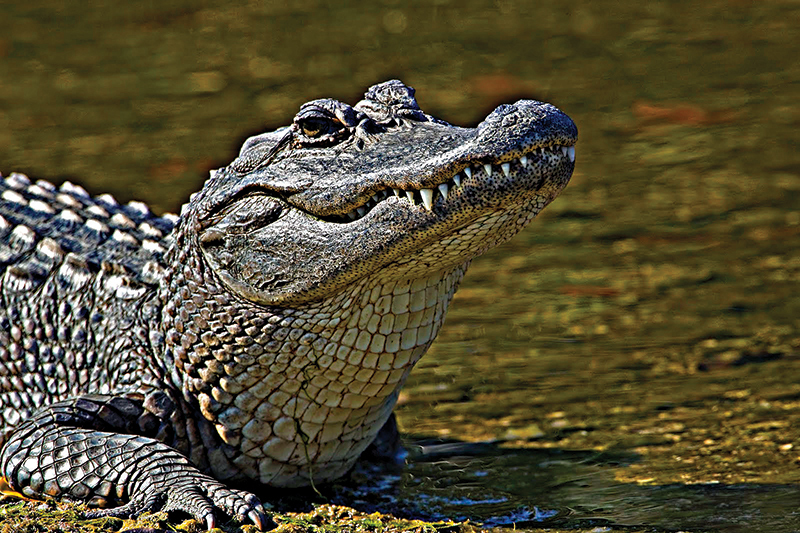 Adventure and excitement await you and your family at Gulf Coast Gator Ranch in Moss Point, Mississippi. Owners Curtis Silver and Allan Adams have teamed up to bring you wildlife thrills and close up encounters that will have you on the edge of your seat. This family owned and operated business sports 105 acres of unspoiled wilderness that you can see from the comfort of an air boat. Tours of the swamplands and marshes are conducted every half hour so you’ll never have to wait long. The high speed thrill ride will bring you through some of the most untamed natural habitat areas that the south has to offer. Birds, marine life and of course alligators are all there for the viewing. The professional guides know every nook and cranny of the swamp that borders Grand Bay Estuary in the Moss Point and Pascagoula areas. You can book group tours or parties by calling the ranch at 228-475-6026 or 1-866-954-2867. Air boat tours run all day Monday through Saturday and begin at 11:30 a.m. on Sundays and run until closing. Winter hours for GC Gator Ranch run all day Monday through Saturday and begin at 11:30 a.m. on Sundays. Airboat rides with a walking tour are only $30 + tax for adults and $15 for kids ages 4 to 9. All children must be at least 4 years old to take advantage of the air boat tours. Winter hours for GC Gator Ranch are from 9 a.m. to 5 p.m. and summer hours are 8 a.m. to 6 p.m. The owners of Gulf Coast Gator Ranch have also built protected walkways so you can tour the beautiful, unspoiled area at your own pace or with younger kids that may be in a stroller. Gulf Coast Gator Ranch has gained widespread popularity since the owners asked for the help of two guys from Everglades Holiday Park in Ft. Lauderdale, Florida a few years ago. Paul Bedard and Jimmy Riffle, from the hit Animal Planet show Gator Boys, have helped bring the crowds to GCGR. By showing people the life of gator wrestlers and animal rescue workers, the two celebrities have created a feeling on the coast (and nationwide) that we should concentrate more on the education of the general public, where gators and all swamp creatures are concerned, and not so much on the fact that some people kill them out of fear and sport. Take time this autumn to introduce your family and friends to this mysterious world that is so fascinating. The owners have constructed covered bleachers in front of a shaded gator pool where freshly caught alligators laze while the gator boys perform daring feats of bravery. The Silver and Adams families take personal pride and responsibility in this magnificent land and its creatures. We salute them and their staff and volunteers for bringing this wonderful attraction and educational experience to the Mississippi Gulf Coast.